hd00:21Traffic on a New York City Street Near Times Square. hd00:26NEW YORK - FEB 24, 2017: Black Man On Smartphone Cell Phone Texting With Famous Skyscraper, Times Square Midtown Manhattan Spring Day NYC. MetLife Building is a 59-story skyscraper on Park Avenue. 4k00:19NEW YORK - September 20: Routine at Times Square on September 20, 2015 in New York. 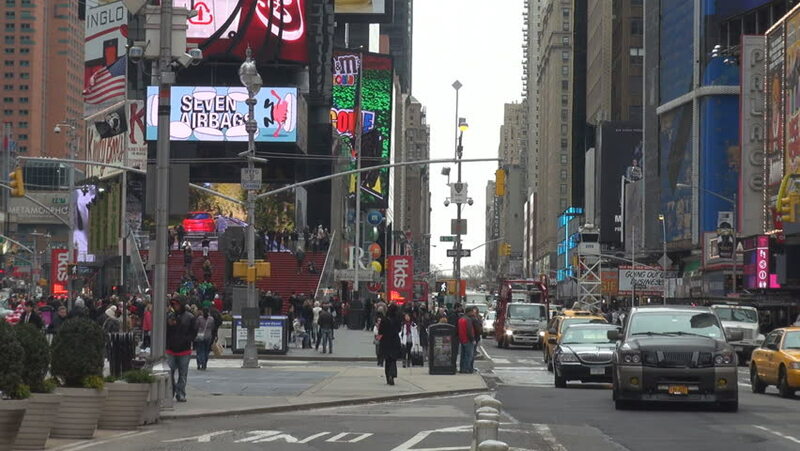 Times Square is a commercial intersection in Manhattan. Camera is moving right. Busy people traffic. 4k00:16Hong Kong, Hong Kong S.A.R.-June 3, 2017: Taxis, cars, buses and trams on the road in Hong Kong. People traveling by using public transport. Some pedestrian are on the sidewalk.